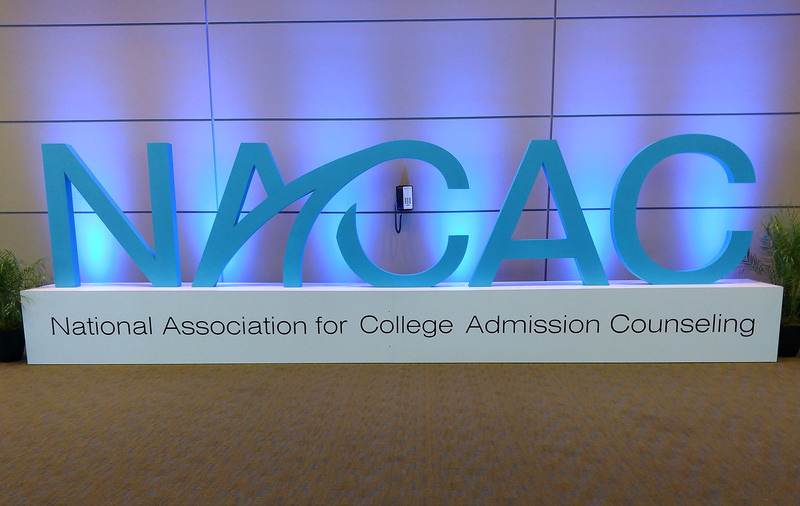 The just-concluded annual conference for the National Association for College Admission Counseling (better known as NACAC) in Boston featured a compelling and direct challenge to the assembled gatekeepers for higher education from keynote speaker Shaun R. Harper, a professor at the University of Southern California’s school of education and executive director for the university’s Race and Equity Center. The National Hispanic Institute’s Julio Cotto and Zachary Gonzalez, noticing NHI was the only Latino-identifying organization at this large annual conference, certainly saw some resonance in what Harper was saying. Cotto noted that for many college administrators—even those especially eager to bring Latino students into their schools—they think about Latinos who are first-generation college students or those who impacted by DACA. While Cotto grants these issues are important, he’s concerned that emphasis on those segments of the Latino college student population gets into a needs-based rather than asset-based view.